Nowadays, deceased donors, or cadavers, are becoming the common source of organ transplantations – like Liver Transplant in India. Deceased donors are agreed in advance to become an organ donor. After a donor has been declared legally dead their liver is removed and preserved for transplantation. The procedure of Liver Transplant in India will take place within 24 hours after the death of the donor. There is a huge waiting list for a liver transplant and only a few people get a chance that they have found their matched donors. The surgeons at the network hospitals under We Care India, the leading medical tourism company perform more than 5000 Liver Transplant in India each year. Now, the surgeons avoid to transplant the liver from healthy donors to avoid the crimes, hence the number of organs from previously healthy donors are decreasing, and the average age of deceased donors are increasing. We Care India is a top medical tourism company which has the tie-ups with the renowned hospitals across the world where the liver transplants performed has been increased from deceased donors. The Liver Transplant in India at all the network hospitals under We Care India work to overcome all the barriers related to transplantation by advocating for living donation and also providing transplant options for the patients with high-risk and for those who face difficulties in blood-type incompatibilities. Despite treating the most challenging and difficult cases, the outcome of the hospitals under We Care India is the highest as compared to the outcome of the other developing countries for liver transplantation. The longest functioning Liver Transplant in India recipient from a deceased donor is around 40 years. This is the reason that people in larger number visit India for their liver transplantation as here they get the highest success rates and reasonable cost. When is a Liver Transplant needed? 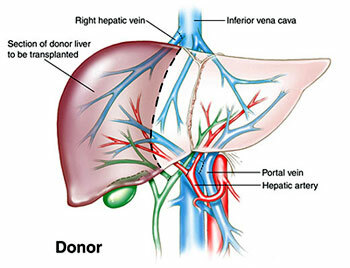 Liver transplant is required to replace diseased livers with a healthy one. There are cases where the whole liver transplantation is not always necessary, however, that totally depends on liver transplant indications. In some cases, only a section of the liver is needed for pediatric transplant patients and this is a case where the family members who are genetically compatible can donate the part of their livers, else, the livers come from unrelated deceased organ donors. 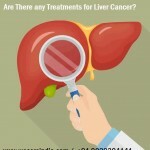 According to the study, there is a long waiting list for liver transplant including children as well, however, India is a country where the surgeons at the network hospitals under We Care India do their best to find the liver donor as soon as possible and allow the patient to live the better and improved life. Liver Transplant needed for children: The reason for liver transplantation in children is needed because of the biliary atresia where the bile ducts which transport the bile from the patient’s liver to their gallbladder which help in digestion are underdeveloped. The surgeons will perform a reconstructive surgery in the initial few months to correct this condition. However, some children go on to develop deep jaundice and finally liver failure. The most common form where the liver transplant is needed by children is hepatoblastoma and for adults, it is hepatocellular carcinoma. Rarer causes that include drug overdose with medications which can damage the liver like paracetamol or acute liver failure due to viral hepatitis A or B. The candidates who are at the end-stage liver disease, and the other medical therapies are failed to provide the results then a candidate may be eligible for a liver transplant at any of the network liver hospitals under We Care India, a leading medical tourism company. The surgeons at the network hospitals under We Care India are committed to providing the liver transplantation services to the people across the globe that will benefit, including those who are on the high risk of liver disease. To determine whether the candidate requires the liver transplant or not your surgeon plays an important role where he/she look at the person’s heart and lungs and make sure that the person can withstand the surgery. The team of liver transplant will take a decision along with the coordinators and get the input from various other providers and specialists and after that, they will decide whether this person is an appropriate candidate for the liver transplant or not. Transplant coordinator who is a registered nurse and she is a person who will specialize in the care of liver transplant patients and she is the person who will be your primary contact with the transplant team. An anesthesiologist is needed who will discuss your potential anesthesia risks. A psychiatrist is required to deal with the issues, such as anxiety and depression, which may accompany a liver transplant. Social workers are the one who will discuss your support network of family and friends, your employment history, and your financial needs. Chemical dependency specialist who will help with the history of your alcohol or drug abuse. A financial counsellor is a person who will act as a bridge between a patient and his or her insurance companies. 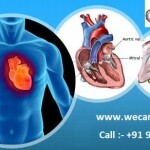 Liver Transplant Cost India is very reasonable and affordable when it comes to treating a last stage liver disease. India is a country which many people across the globe prefer to have their liver transplantation because here they get a reasonable Liver Transplant Cost India with highest success rates. The Liver Transplant Cost India is typically a fraction of the cost for the same procedure and care in other developing countries like the USA, UK, Australia, Russia etc. The cost of the treatment can vary on the type of surgery and other medical conditions of a patient. The disease is on a heavy rise around the world and even in India with an increasing number of patients looking for a perfect treatment. 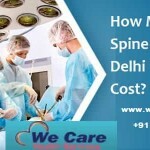 The surgeons at the network hospitals under We Care India provide the same international standard quality of the treatment but at low-cost and this is the reason that people in larger number travel India for their liver transplantation. Apart from the reasonable Liver Transplant Cost India and success rates, the other factors such as stay during the surgery, diet, care etc. also attracts the attention of many people across the world. We Care India is a medical tourism company which has the tie-ups with some of the best hospitals across the world for a liver transplant with the most modern technology and state of the art infrastructure. The people who are beyond the average class for them India is a very feasible choice for undertaking the treatment mainly due to the highly affordable price for the procedure. There are many best and cheapest liver transplant hospitals in India who are especially taking care for the people who are below the average class and offer them the same treatment so that they can live a better and improved life. The estimated Liver Transplant Cost India ranges from USD 20,000 to USD 35,000 where the countries like the USA have the liver transplant cost which starts from USD 3, 00,000.